Julia Amies-Green has lived on rural Exmoor for 20 years, during which time her love of photography, whilst a hobby, has developed into a huge passion for the enigmatic beauty of the moor and its stunning wildlife. It is that passion that drives Julia’s desire to capture it on film. Her work has been published in various magazines and she has won and been runner up in numerous national and local photographic competitions and was nominated by BBC Countryfile in 2016 for one of their national awards. Julia’s other main hobby is sailing. Julia is the creative director of her and her husband David’s company Fly Monkeys Ltd, specialising in aerial cinematography. Don Bishop started his photographic career fulfilling another of his lifetime passions by photographing steam railways and had work published regularly over the years and wrote six books on West Country steam railways. In 2006 he gave up his career with BT and began landscape photography, selling prints at shows and events around country and opened the Willows Gallery at the Willows & Wetlands Visitor Centre, Stoke St Gregory, Nr Taunton in 2013. Don also runs workshops for aspiring landscape photographers, with days out on Exmoor and the Dorset coast both proving to be popular. His website at www.donbishop.co.uk gives details of his gallery, workshops and prints. Based in Braunton, in beautiful North Devon, Jamie works primarily as a wedding and family photographer. He’s a passionate surfer and loves nothing more than spending time exploring the Devon coastline with his board, his camera and his trusty companion Dunphy the miniature labradoodle. Living in Somerset all his life, Ian has a great appreciation for the area. He particularly enjoys spending time on Exmoor photographing its landscapes and wildlife, the herds of wild red deer being his favourite subject. 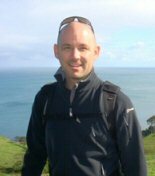 Ian has had his work published in specialist magazines and local media and regularly gives talks to clubs and groups. More of his work can be seen on his website – IJB Images. 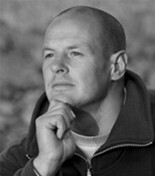 Adam Burton is one of the UK’s leading landscape photographers and author of three books, including A Year on Exmoor. Since 2008 he has been working as a full-time professional landscape photographer, regularly supplying imagery and undertaking commissions for a wide range of business clients. He has photographed five of the seven continents and now specialises in the landscapes of the UK, particularly South West England where he is based. ‘Rupert ‘Jack’ Clegg has lived and worked on Exmoor all his life. Apprenticed to a photographer, he progressed to commercial photography and then joined the Police Force before an accident forced early retirement. After his recuperation, he set up his photography business in 2001. Now a thriving concern, it incorporates landscape and wildlife photography courses, an online gallery and commercial photography. Jack is known for his stunning wildlife and landscape images. His work is regularly published and he donates images to several wildlife charities such as Somerset Wildlife Trust. His book, Life Through My Lens, is the first in a planned series. Jack’s office/studio is based in the beautiful seaside town of Minehead, where he lives with his wife Alison. They have three grown-up children who are also interested in photography and art. Jack, Alison and Jamie (who assists on the courses) are all about customer service, customer comfort and a relaxed learning environment for course participants. Ursula was born in Yorkshire and developed a keen interest in photography aged 10. Since then she has combined her love of nature and passion for photography and this clearly shines through in her images. Ursula moved to Somerset in 2009 and spends her free time photographing the deer, Exmoor ponies, birds, insects and flowers on Exmoor and surrounding area. Ursula uses a Nikon camera and has held a number of very successful exhibitions both locally and outside Somerset. Tricia walks Dunkery Commons throughout the year following the free-living Exmoor ponies and documenting their lives. 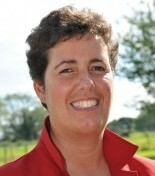 In 2013 she bought two foals she had followed from birth whom she hopes to ride one day. When there is not an Exmoor pony in front of the lens she also enjoys capturing macro subjects – wildflowers, insects and just about anything else that comes within range! My name is Kieran Hanlon (keanudrone online). I started as a drone photographer for the love of landscape and seascape photos, doing a mixture of aerial and land photos. I am now also starting to do wedding photos with my Dad. We did our drone licence together and so we can now go out photographing with one another – a great hobby for us to share now that he is retired. I have lived in Somerset for my entire life and love what it has to offer; seeing this in a different perspective with the drone has brought a whole new viewing to photography for me. 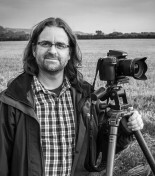 Guy Harrop is a professional editorial, travel and food photographer with creative flair based on the edge of Exmoor. Guy has over 20 years’ professional experience and has worked throughout the UK and abroad. His photos are regularly published both nationally and worldwide, and he has won several international awards along the way. Guy’s roots and passion are firmly in the West Country, where he grew up on Exmoor. Although born in North Devon, and having lived in America and Scotland for a time, Andrew has now been living and working in Somerset on the edge of Exmoor for the past 25 years. 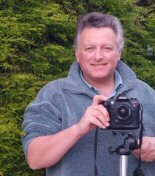 Since 2009 Andrew has been covering a variety of stories for the magazine ranging from the Exmoor Pony Gathering to photos for our food and home sections. 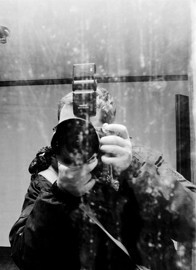 Being freelance Andrew covers many disciplines including commercial, event and photojournalism. His growing client list includes the Western Morning News, Apex National news agency, Anadolu International News Agency, Sportive Photo Ltd, Cognita International Expro and several Exmoor based businesses. Our junior photographer Bethany Hobbs (Bee), having studied ethics, philosophy, art and photography at Queens College Taunton, is now heading for Brighton University where she has been accepted on their prestigious photography degree course. Bee has previously taken photos for many theatre productions and the college magazine as well as working with the Exmoor Magazine. Although Bee will be based in Brighton she is hoping to be able to continue to contribute to the magazine over the coming years as she loves Exmoor and wants to remain connected with it. www.beehobbs.co.uk. 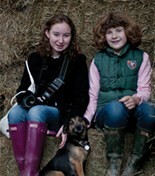 Bee is pictured here with our junior writer Ellen Cowling, together with Scrumpy the dog. 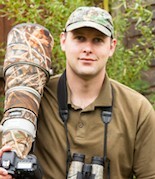 Craig is a Somerset-based photographer with a passion for the countryside. He specialises in landscapes and seascapes of the West Country. Craig’s work has been published in books, magazines, travel guides, wall art, greetings cards and calendars around the world. Craig also sells prints of many of his photographs from his website. John Kemp lived in Surrey until the autumn of 2014, but relocated to live the good life, shoot more for fun and keep chickens. Throughout his career as a professional photographer he has covered many varied assignments. His most notable were a couple of jobs which took him into No 10 Downing Street during his stint as a registered photographer for the Dept of Education. He has also visited many parts of the country for DEFRA recording SSSIs for their image library. These days he spreads his time between photographing weddings, portraits, schools, corporate and 360 virtual tours. Liam Mercer is a corporate and advertising photographer/videographer based in Somerset and Bristol. During Liam’s early but promising career he has had work published both nationally and internationally for many clients who operate on small and large scales. He has also worked on assignments abroad. Soon after finding an interest in mountain biking, Liam turned his lens towards the sport and he can often be found photographing the mountain bike events on the Quantocks and Exmoor. Lee Pengelly is a Devon-based photographer specialising in landscape, architecture and food photography. His work is published regularly in the UK and overseas in magazines, books, calendars, cards and tourist guides. He has had six book titles published by Halsgrove including the recent Romantic South Devon Coast and Portrait of Plymouth. Lee also runs a number of workshops each year throughout the UK. David Rowlatt took up photography after taking early retirement from his job as a driver at 58 due to ill health. Based in Mid Devon with Exmoor, the beautiful and rugged North Devon, Dartmoor and the coastline from Dorset to Cornwall all being close at hand, he was soon hooked. He uses a Canon 40D DSLR camera with a selection of lenses combined with Lee Filters. Rosie Schneider is a landscape photographer and photo artist who has been capturing the beauty of Exmoor for many years. Her work is available to purchase through Courtyard Framing in Minehead (www.courtyardframing.co.uk) and can be posted nationwide. Examples of her work can be seen on the website https://500px.com/curlylocks where the photographs are arranged in galleries for easy viewing. There are nearly 200 images of Exmoor. Her own website is in the making and can be found at www.rosieschneiderphotography.co.uk. Please look out for further developments. Rosie has won this year’s photo competition in Exmoor National Park with her photograph ‘The Deer’. Christmas cards and calendars are available. Please email roseandwillow@yahoo.co.uk for details. Neville Stanikk has been photographing landscapes for the last 32 years. His published work can be seen in magazines and books, including Southampton, Portrait of Maritime City, Perfect Exmoor, Exmoor, A Winter’s Tale and (just published) Portrait of the Somerset Coast. He uses a Fuji Finepix S3 Pro because of its colour and dynamic range. He describes his aim in capturing ‘unashamedly romantic, dramatic and beautiful pictures’ which show the landscape at its best. Prints of his Exmoor and Somerset coast pictures can be ordered from Courtyard Gallery. Andy Stuthridge has been a policeman for over 20 years and lives and works in Mid Devon. He has always been interested in the natural world and has a particular love of Exmoor and its wildlife. His wildlife photography has been published in a number of magazines and he also contributed photos to Ernest Davey¹s book, Our Love of Exmoor. In 2010 Andy was shortlisted for the prestigious Veola/BBC Wildlife Photography Competition in which his photograph of red deer reached the final round. Basil Warren was born in the small Devon village of Widecombe-in-the- Moor on Dartmoor where he grew up in a hill-farming family. After leaving school he joined the old Devon Constabulary and for the next 36 years either served in the police or managed golf clubs throughout the West Country and Pembrokeshire in Wales. He returned to Exmoor at the beginning of 2003 and became interested in photography in a more serious way; mainly the wildlife of Exmoor and the surrounding area. His main passion is the native red deer. 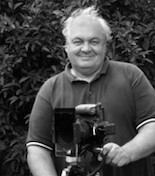 He is also treasurer of the Dulverton Camera Club. Jochen Langbein is a wildlife biologist. 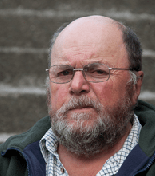 He specialised in research into deer ecology and management for over 30 years. 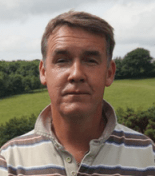 Following a PhD on fallow deer at Southampton University, and a range of other projects on deer and brown hares, he set up an extensive study into ranging behaviour and habitat use of Exmoor’s red deer. On its conclusion in 1997, he settled locally as a freelance wildlife consultant. His work continues to relate foremost to management and behaviour of deer, including countrywide assessment of deer-vehicle collision issues and measures to prevent them, and tracking the spread of deer into suburban areas. 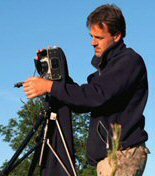 Jochen tries to incorporate video and photography in his research at every opportunity and hopes to move into wildlife film making. Exmoor Magazine welcomes suggested cover photographs from amateur and professional photographers. If you have a photograph which you would like us to consider for the cover please contact us using the form below. Almost all of our photographers seem to be male but this is not intentional! If you are a keen female photographer please do not let this put you off – we would love to hear from you!